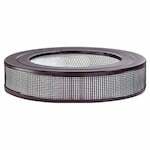 The Honeywell PopUp replacement pleated air filter media is available in several sizes and features a MERV 11 rating to improve the quality of your indoor air. The reason for a pop up design? No inner frame or upgrade kit is required. The seamless, precision fit is made to easily install into the channel and door gaskets for Honeywell and Aprilaire media cabinets. The low-restriction air flow rating is tested at 492 feet per minute air flow and is made to save users money. The high flexibility allows Honeywell to offer 6 different sizes. 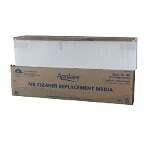 If you are an HVAC installer this PopUp filter will save your time on installation and space in your truck! 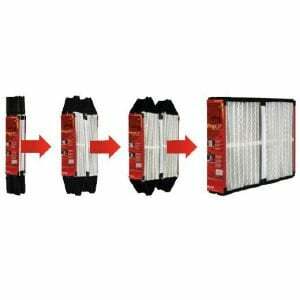 If you are a home owner this MERV 11 filter offers easy assembly and will save you storage space. No Assembly Required - No combs, pleat spacers or end caps. Filter simply pops up and is ready to use. Homeowner Friendly Self-Assembly - Open package and POP! The filter is ready to install. Collapsible Design - Less chance of damage and makes for easy, clean disposal. Meets American Lung Association Health House Guidelines - Fiberglass Free!